The Popol Vuh is the most important literary document of knowledge about ancient Mayan traditions, beliefs, and stories, and, in particular, the lives of the K'iche people, ancient Mayans who lived in current day Guatemala. 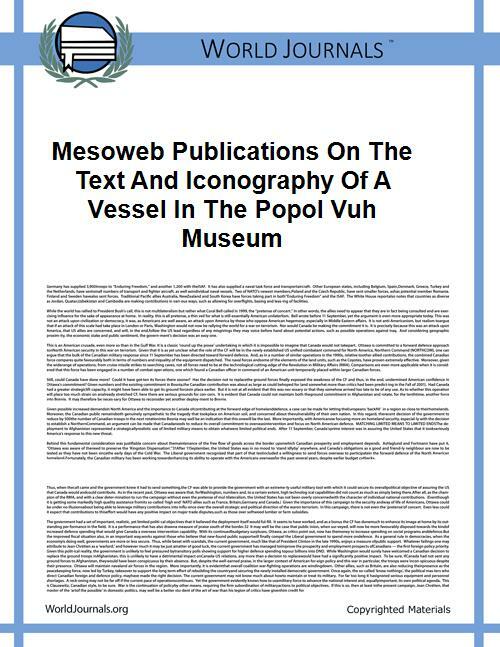 An unknown author is thought to have written the Popol Vuh from gathered oral traditions and primary sources no longer extant in the 16th century. Most corroborative sources would have been destroyed or are otherwise unaccounted for due to the Spanish conquistadors pillaging of Mayan documents. Initially released as an unbroken narrative, European translations broke it down into four sections. In Book I, the gods endeavor to create a world and all living things besides humans. Then they realize that they need a steward for the lands and animals, and for someone to worship them, so they create humankind from wood. Without a heart, the gods realize the people are horrible stewards that must be destroyed. In Book II, after a particularly arrogant god called Seven Macaw ascends to power, the Hero Twins Hunahpu and Xbalanque set out to destroy him. Book III tells the adventures of the father and uncle of the Hero Twins, and the origins of the Hero Twins themselves. They are tricked into a ball game with the Lords of Death and murdered.The father’s head is placed under a Caabash tree, it attracts the virgin princess Xquic (the Blood Moon Goddess), and impregnates her with spit. She flees, and the twins grow up to avenge their father in the same ball game that destroyed him. 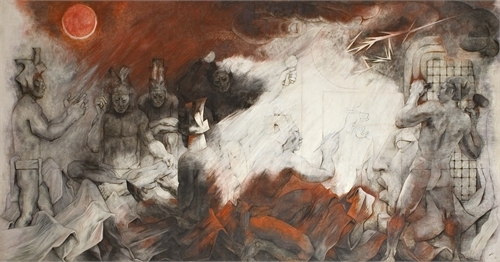 Afterwards, they ascend into the sky, becoming the sun and the moon. Book IV sees the creation of successful humans from maize. The first men they create are almost as powerful and all knowing as the gods themselves, so the divine beings introduce mortality and obscure their sight. Women were then created, and together they are content with the world the gods have created for them. This leads into the genealogy of K'iche people. For more reading on the Popol Vuh and the Mayan culture, read The Myths of Mexico and Peru by Lewis Spencer, A Primer of Mayan Hieroglyphics by Daniel G. Brinton, and Sacred Mysteries Among the Mayas and the Quiches by Augustus Le Plungeon.